Christie answers questions about David Wildstein, who Christie appointed to a position at the Port Authority. Wildstein was highly involved in the lane closures and resigned last month. Christie pushes back at characterizations that the two are longtime friends, describing him more as an acquaintance. "How do I feel about David now? What I read yesterday made me angry!" 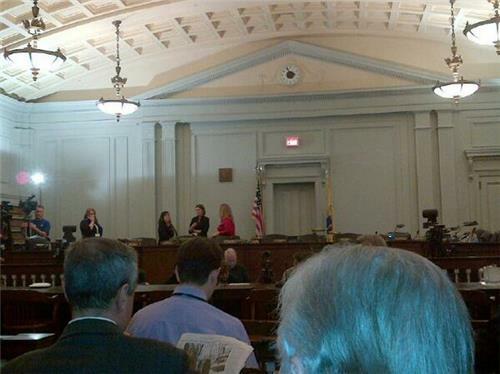 Has CC said Stepien is no longer going to advise him (aside from NJGOP and RGA)? May have missed it. The delayed EMS times come up: Christie apologizes, says it "is awful." Christie: "I don't believe I have lost the trust of the people of New Jersey." And official word: "The governor is still going on, apparently. So we're just waiting for him to finish, and then we'll get rolling." 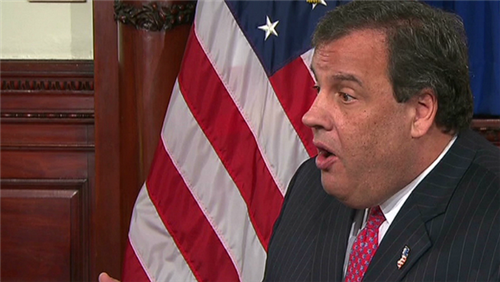 Christie: "I trusted that I was being told the truth and I wasn't.... Did I miss it? We missed it." Christie on moment he found out: "You can only imagine, I was standing there in my bedroom looking at that on my ipad..."
Christie's press conference has been going on for about an hour and 10 minutes. Glenn McCaul, GOP committeeman in South Carolina, says #bridgegate won't matter to 2016 voters. "He has done what a leader should do." Christie says he's not going to try to find out for himself how the "traffic study" explanation came about; he says he doesn't want to get involved in the state legislature's investigation. Christie jokes: "I think I'm out of the traffic study business"
Will all this matter if Christie runs for president in 2016? Glenn McCaul, Republican committeeman for South Carolina, says "no, it doesn't." “Like I think he said, we are not perfect and he can’t be on top of everyone that works for him,” McCaul told CNN's Dan Merica. Christie press office releases video of today's presser with the headline: "I am heartbroken and I'm sorry"
What did you think of #ChrisChristie 's press conference today? Is he still a viable potential presidential candidate? 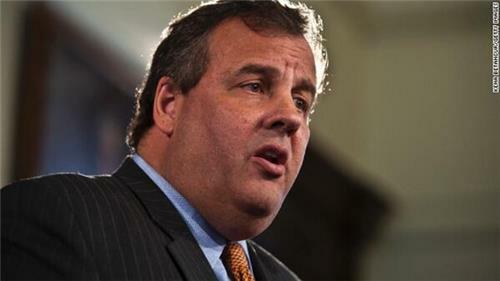 If Christie runs for president in 2016, a Republican committeeman from New Hampshire, told CNN's Dan Merica it won't "make any difference whatsoever." “People in New Hampshire could care less about whether some bureaucrat working on his staff did something stupid like this," Stephen Duprey said. Christie: "It is what it is. And I'm responsibile for it. . . It happened on my watch. . . the buck stops at my desk." Christie says he got very little sleep last night because he kept thinking, "How did this happen?" Christie's answer to if he considered resigning: "Oh god no- that's a crazy question, man. I'm telling you I had nothing to do with this." Asked what he would do if he were subpoenaed in an investigation, Christie said: "I'm not going to speculate on that." Hey Jay Gruden -- you & @GovChristie own twitter right now! "If you lie when I ask you a question, you're fired. That's it," Christie says. Christie says he didn't talk to Bridget Kelly when firing her because she might get called as a witness in the investigation. Christie on Kelly: "A person closed to be betrayed me. A person I counted on...I'm a sad guy standing here today"
"I'm a sad guy standing here today," Christie says, saying it's the overriding emotion compared to anger. "It is a rare moment when I raise my voice in this office," he says, adding the last time he did was four weeks ago when he was pressing his staff members about the issue, asking whether they knew anything. Christie says he could count on his hand the number of times he had a conversation with David Wildstein, his appointee at the Port Authority who was involved with the bridge scandal. Wildstein resigned last month. Who is David Wildstein? On the people of New Jersey, Christie says "I'm very hopeful they will accept my apology"
Asked if any level of political retribution is acceptable, Christie says no. "Political fighting? Sure," he adds. Another video release from the office of Christie: "This is the exception, not the rule"